From exotic Acacia to exquisite Black Walnut, we’ve never installed a floor we didn’t understand inside and out. 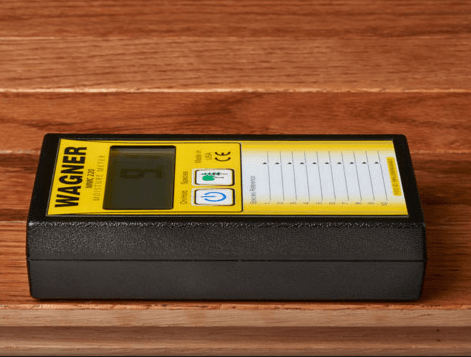 The installation process begins with us measuring your space and helping you choose the species and grain to match your distinct taste and style. 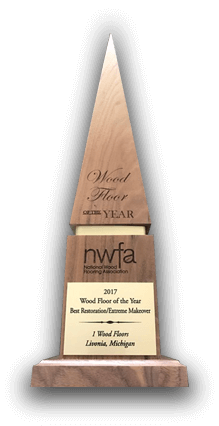 We’ll also discuss your lifestyle, floor traffic, upkeep expectations, budget, climate, and subfloor – all factors that directly impact your flooring choices. Whether you opt for hand scraped solid wood or engineered exotic flooring, our services provide you with a beautiful floor that will last for decades. Bamboo is one of the fastest-growing plants in the world. Bamboo looks like wood, feels like wood, and cuts like wood. It even smells like wood. But bamboo isn't wood at all—it's grass. And it's much thicker than most hardwoods, so it's ideal for flooring. Bamboo can be collected after just four or five years. By contrast, it typically takes between 30 and 60 years before hardwood trees can be milled into flooring. Plus, bamboo regenerates after cutting, and the same plant can be harvested again just four or five years later. Engineered Wood Flooring is a type of hardwood flooring which is formed of multiple layers of timber stuck together, and then finished with a thickness of hardwood lamellae. This flooring is seen as an attractive alternative to solid wood flooring as it looks similar, but the construction of the plank allows excellent stability, meaning it can withstand high levels of moisture and fluctuations in temperature, making it an ideal flooring solution for underfloor heating. Engineered construction creates a highly stable core that is less likely to expand, contract or shift when exposed to moisture, humidity, and temperature. Solid Wood flooring is a natural 100% wood product with each board coming from just one piece of solid wood that is cut down to a necessary size, typically between 18 and 25 centimeters. The method of the cut of the wood can vary from flat-sawn, which is the most recognized style with a triangular grain, to quarter-sawn where the material is divided up into quarters, then rift-sawn, which gives a finish where the grain is horizontal. After the cutting process is complete, the stuff is put into a kiln for drying and then finished. Laminate flooring is made to be visually related to its real wood counterpart. 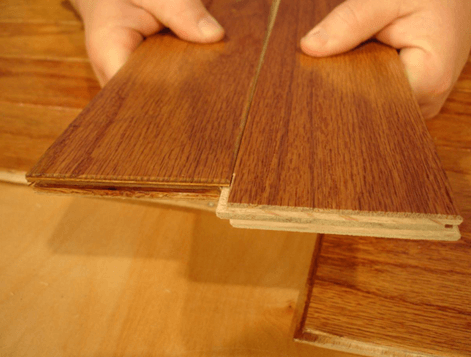 The difference is that laminate floors consist of a backing, core, image and wear layer rather than solid wood. The support is designed to keep moisture out, helping to protect the center that is usually made up of a durable fibreboard or resin. This is then topped with an image layer - a photographic image of wood on a vinyl board that gives laminate flooring its realistic aesthetic. Finally, the wear layer helps to preserve the floor and stop it from becoming worn down over the years. We have established a speedy network service allowing us to deliver our products nationwide with next day delivery. Luxury vinyl plank (LVP) is an affordable waterproof wood-look flooring option that has great warmth and texture underfoot and installs with peel-and-stick, glue-down, or click-together ease. Luxury vinyl flooring gives an attractive and durable choice for high traffic areas. Patterns can vary to portray the look of natural wood, tile or stone. The moisture resistant product offers easy locking installation and is ideal for high traffic areas. Reclaimed Flooring is a material that is pulled from an old barn, factory or existing structure and remade into a renewable product. The reclaimed products we carry offer limitless opportunities for reclaimed wood flooring, barn siding, mantels, stair treads and other accessories. Our suppliers of reclaimed material work tirelessly to keep the patina of the original structure while producing a quality product that has been de-nailed and molded to your exact specifications. Our reclaimed products are 100% American sourced and manufactured helping to preserve the history of our great country. Wide plank flooring features board widths of 5" or more for a throwback style that can feel both sophisticated and rustic. Wide plank wood flooring tends to have longer planks as well, creating a more seamless look. Wider widths and longer lengths give solid plank flooring drama and distinction over small strip floors. Every board is selected by hand, rigorously inspected, and milled into a work of art. Wide plank flooring is perfect for your space. With this option for every style and every budget, you are only a call away from finding the ideal full plank floor for you. The premium hardwood that suits every lifestyle.